We offer for rent an excellent, newly-built 3-bedroom apartment in the center of Plovdiv, on the back of Billa store. The property comes with brand new comfortable furniture and high-end necessary equipment, with beautiful views of the River Maritsa, Rhodope Mountains and the city with its hills. The apartment is located on the 5/11 floor in a modern gated complex, built in 2009, with elevator, porter, amenities (fitness center, children's center, post office, 24-hour video surveillance, underground parking lot and garages) and relaxing living environment. The apartment is facing south / north and has an area of ​​142 sq.m. It consists of a hallway, three bedrooms (one is not furnished), a living room with kitchenette, a built-in wardrobe, a laundry room, a bathroom with toilet and bathtub, a separate toilet, two panoramic terraces. Each room has a plasma TV and air conditioning. The kitchen is fully equipped. 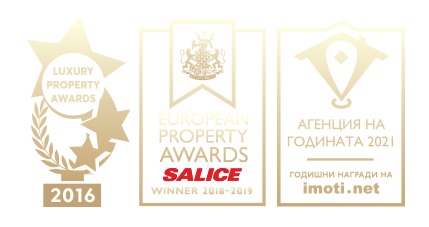 The top location of the property is completed by its proximity to the Water Pavilion, Shell, McDonald's, Versailles, Planet Payner (about 200 meters), the bridge on Maritsa river, Plovdiv Fair.